Enhance the flavor of wine, liqueur, and beer with Orka's Magic Flavor cork and pourer. 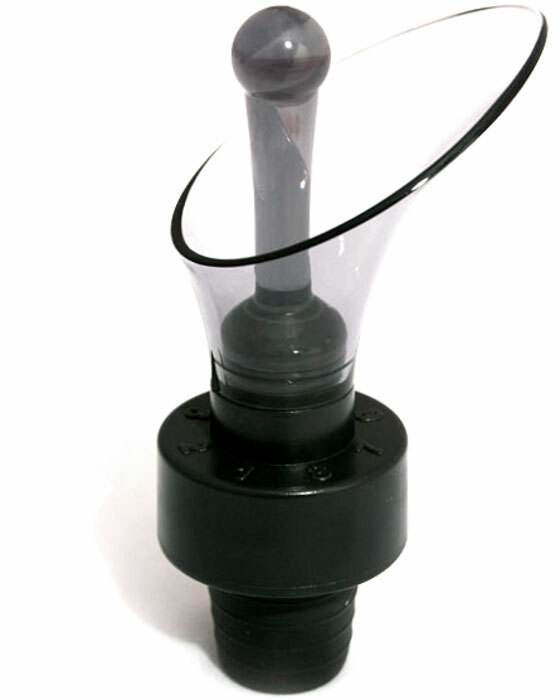 Fabricated from black and clear polycarbonate, it has a manufactuerer's five year warranty. When poured from this device, drinks are softened over a magnetic field that gives eight degrees of maturation, which makes Orka's Magic Flavor pourer ideal for young wines. The magnet stimulates the iron that's present in wines, exciting the molecules, which collide to open the wine without using preservatives or chemical products. The spout's smart design eliminates spills on counters, tables, furniture, and clothing, so you can pour every glass perfectly. 4-6/10" x 3-1/10" x 1"